HÀ NỘI — A new bus route linking Hà Nội’s Mỹ Đình bus station with Nội Bài International Airport was put into operation last Saturday by the Transport Corporation Hà Nội (Transerco). Route No109 was opened to better link Nội Bài airport to the city centre. The new route’s 60-seat buses are fully equipped with LED lights, free wifi, modern GPS management software and technology to provide information on the route’s operation. With 96 journeys a day, the buses operate from 5am to 9pm and will take 20-30 minutes per journey. 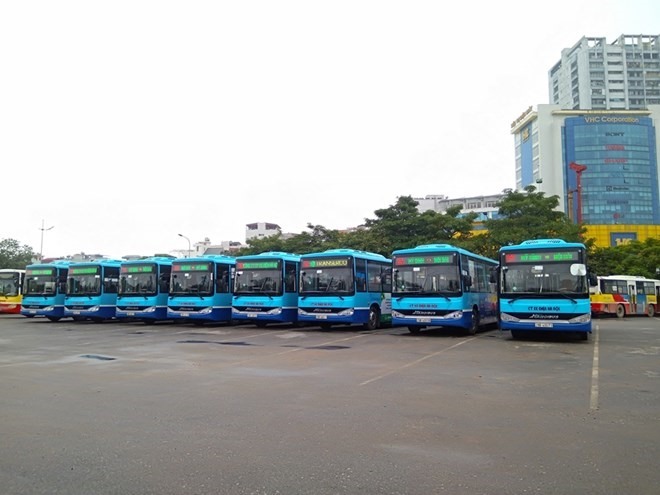 “The connection between airport with inner-city bus routes at Mỹ Đình bus station will make it easier for long-journey passengers to transit, reducing the waiting time of passengers,” an official of Transerco said.